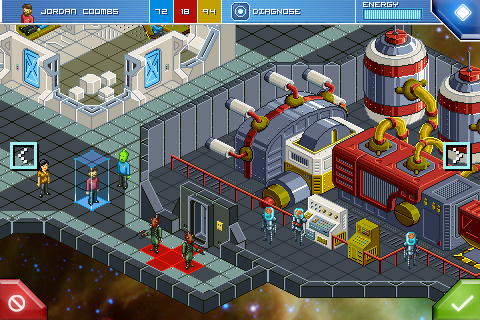 Star Command Devs Come Clean: What The Hell Did You Do With Our Money? Studio breaks down the unexpected cost of creating its mobile game. One of the best things about using Kickstarter to fund a video game is the ability to help a developer create something special without a publisher getting in the way. You just hope, as a contributor, that the money you pledge is in the hands of someone who's done this before. That said, it was interesting to read through a post on the Kickstarter website titled, What the hell did you do with our money?, which chronicles War Balloon Games' spending spree (if you can call it that) on the proposed game Star Command. That left the team with roughly $6,000 of taxable income, which became $4,000 after Uncle Sam did his thing. Looking back, War Balloon wishes it would have chilled out on the lawyers. At the same time, we have to wonder if that sits well with those who invested. There's something to be said about bypassing the hurdles normally associated with publishers. On the flip side, there's also something to be said for having those "in the know" guiding you through the process. With this in mind, we wish the devs at War Balloon Games the best, and look forward to playing Star Command later this year.